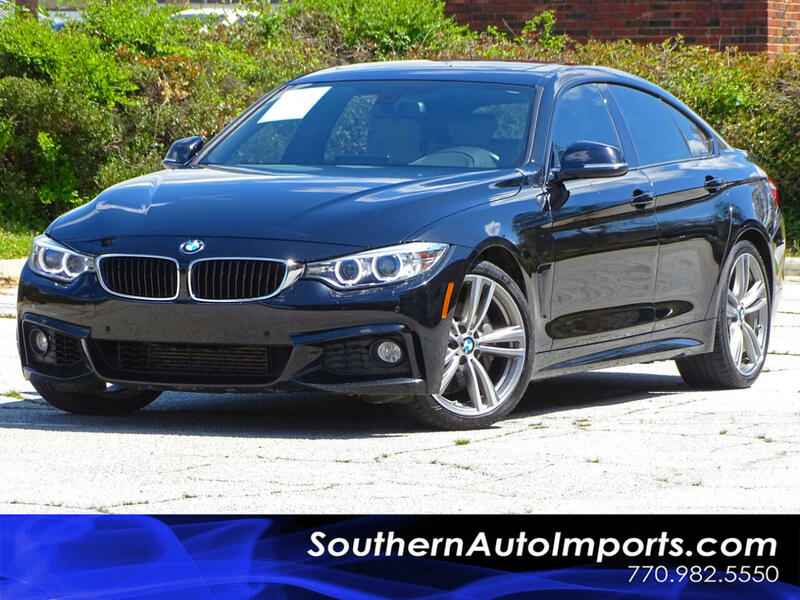 ***435i GRAN COUPE w///M-SPORT PKG**TURBOCHARGED**CALL US TODAY AT 7709825550 TO GET THIS BMW HOME TODAY***LUXURY VEHICLE EQUIPPED WITH, COLD WEATHER PKG, DRIVER ASSISTANCE PKG, TECHNOLOGY PKG, ///M SPORT SUSPENSION, AUTOMATIC PARKING, BACK UP CAMERA w/PARKING SENSORS, NAVIGATION SYSTEM, HDD MEDIA STORAGE, HID HEADLIGHTS. MEMORY SEATS, LEATHER HEATED FRONT & REAR SEATS, ALL PWR OPTIONS, SUNROOF, PADDLE SHIFTER, SPORT MODE, PUSH BUTTON START, HARMAN/KARDON PREMIUM SOUND SYSTEM, HID HEADLIGHTS, WOODGRAIN INTERIOR, LEATHER HEATED STEERING WHEEL AUDIO CONTROL, VOICE CONTROL & CRUISE CONTROL, SUPER COLD A/C, SUNROOF, MP3 PLAYER, ABS, TRACTION CONTROL, AUTOMATIC HEADLIGHTS & MANY MORE PREMIUM OPTIONS!! CALL US NOW!! Message: Thought you might be interested in this 2016 BMW 4 Series.